Our WordPress platform is truly unique. We give you the power of managed WordPress hosting on a shared hosting platform. Your resources are not only isolated but also have more power than a traditional managed WordPress VPS. Servers are kept stable with our Low Density policy meaning servers are capped at 50 domains, not the thousands seen on normal shared hosting. We also offer full email capabilities protected with a commercial spam filter for a clean inbox. All this is secured by our AI-powered security layer, Imunify360. Our support team is fully at your disposal to help with any task. We can help you with email issues, speeding up your website, we'll even help you troubleshoot code related issues! Choose a server location near you to speed up your site's load times and boost your local SEO rankings. We have servers in the US, UK, Netherlands, Singapore, Japan and Australia. Our server environment is tuned to serve WordPress sites at lightning fast speeds with Nginx and Redis caching. 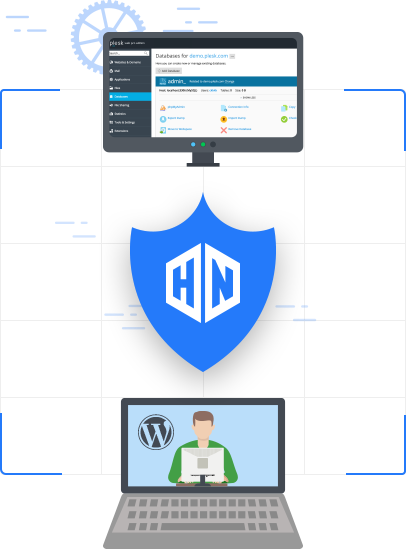 The WordPress feature set includes core updates, vulnerability patching, true staging sites and a built-in security toolkit to secure your WP instance. WordPress can be a hungry beast which is why we set high resource limits for each domain. Each WP instance has 3gb memory and 3 CPU cores available ensuring peak performance. We also set PHP's limits on the high side to take advantage of the overall high resources available. NGINX accelerates content and application delivery, improves security, facilitates availability and scalability. Railgun is a web proxy system built for Cloudflare, that allows caching of dynamic content. FPM is the highest performance handler for PHP. It is vastly superior to all other handlers such as FastCGI. OpCache is a bytecode cache that stores compiled PHPP code in-memory for faster application access. Redis is an open source, in-memory data structure store that caches database queries and ojects. HTTP/2 reduces latency and speeds up website delivery due to improved parallel multiplexed requests. Our Advanced Security Suite We employ one of the most sophisticated security systems found on any Linux server in the world today. To find out more about Imunify360 please click here. Our servers are linked to a security network that is constantly assessing new threat vectors. Once identified the AI distributes a new ruleset across the whole network. We backup website files and databases every day and clients can manage these backups via our control panel. Clients can also do Plesk-level backups to remote storage like DropBox. Secure your site for free with Let's Encrypt SSL certificates. Our system auto-renews Let's Encrypt certificates and sends notifications if propblems with renewal are encountered. Coming soon: Old and insecure code is patched before it can be exploited. Deploy and manage your codebase from your favorite Git or local repo. 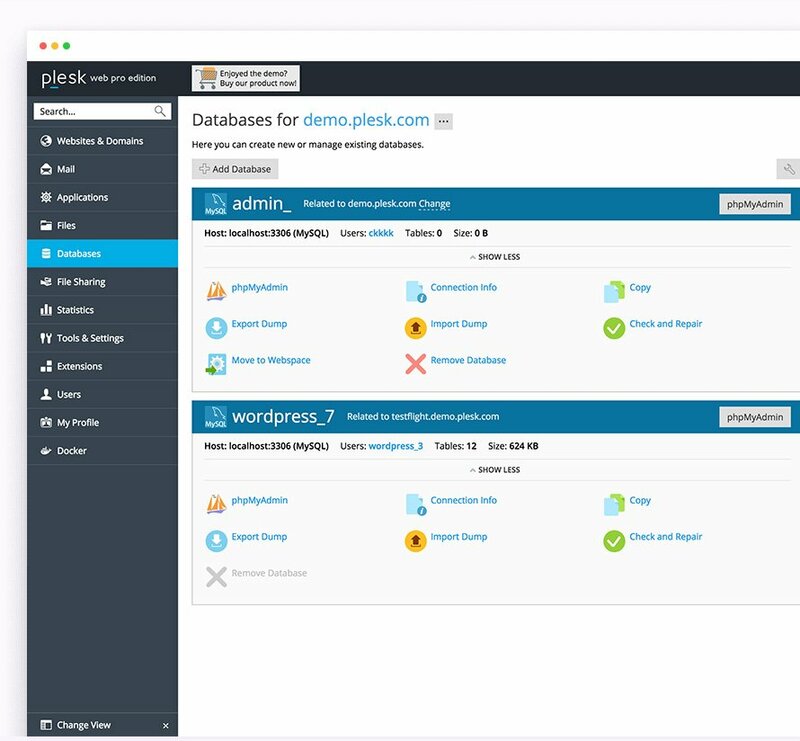 The Plesk interface is simply beautiful and easy to navigate. Easily switch PHP versions and manage common PHP settings. The file manager is extremely intuitive and gives you full control of file management. View your access and error logs in real time to find problems on your website. Create unlimited mailboxes, add forwarders, autoresponders and manage your spam filter. Add an extra layer of security with our in-built 2FA tool. All domains come with Awstats analytics. Identify CPU, memory and other resource issues with the resource manager. USE COUPON CODE "ONEDOLLAR" TO GET YOUR FIRST MONTH OF HOSTING FOR $1!